Join ON Semiconductor experts in the field of industrial power electronics across ten cities throughout Europe and the Middle East. These free Power Seminars are tailored to benefit anyone working on industrial power electronics designs and offers unique insight from some of the industry’s leading experts. The seminars encompass solutions and technology trends in the power arena, and cover applications and functional blocks. Discuss your daily design needs and challenges with experts. ON Semiconductor has the experts and expertise to support you! Places are limited, so register now to avoid disappointment! In recent days power density became an important and increasingly universal figure of merit of power supply and power system innovation and performance. Achieving high power density implies the utilisation of the latest topological advances in power conversion, employing state of the art control methods and using the best semiconductor technology available for the designer. In this presentation we endeavour on a journey connecting these pieces of the puzzle to obtain high power density. We will take a look at the latest trends of power supply design, technological benefits and cost advantages of designing for high power density and how the latest semiconductor technologies – primarily GaN power switches – can help us to reach our ultimate goal of a high efficiency, high performance, high reliability and low cost solution. Important details on critical characteristics of GaN devices, layout and drive requirements and application examples with waveforms will add practical aspects to the discussion. This presentation will cover characteristics of SiC MOSFETs that make them well suited for high-voltage, high-speed, power applications and critical design requirements related to optimal gate drive design for maximising SiC switching performance. Finally, the task of designing an adequate gate drive circuit is simplified by a high performance, SiC gate driver IC which will be introduced. The emphasis of this presentation is to provide a framework on how to use IGBTs in high power and high voltage designs. A contextual overview of power silicon technologies and general topologies/applications is provided in addition to a discussion regarding common system requirements for high power applications. Finally the presentation will highlight that each end-application has a different set of requirements in terms of IGBT characteristics and the practical issues related to IGBT designs, including a special focus on gate driving. This presentation reviews the state of the art of electrical drives in three specific areas: electric machines, power electronics and control techniques. Key development trends include the three machine types: Induction Machine (IM), Permanent Magnet Synchronous Machine (PMSM) and Switched Reluctance Machine (SRM). The aim of this topic is to provide an overview of these trends and techniques with strong practical aspects. This presentation covers the methodology of an easy tool to measure and optimize a control loop. From theory of control loop and stability criteria, the evaluation of such system is explained. The use of PWM simulation model is shown in practice to predict loop stability, together with a quick overview of obtainable results. A straightforward method to implement control loop measurement on a real environment is presented, followed by a method for optimisation with the help of standard calculation-tools. Modern day power electronics encompasses a wide spectrum of semiconductor device types, all of which present unique benefits and trade-offs in the design spectrum. 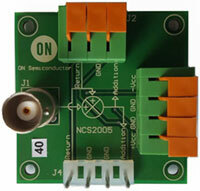 Such devices include IGBTs, Super Junction MOSFETs, Trench MOSFETs, GaN HEMTs, SiC MOSFETs and SiC diodes. In order to realise all the individual device benefits and trade-offs, efficient power electronic design hinges on the availability of accurate and predictive SPICE models. This presentation proposes novel physical and scalable SPICE models for power electronic semiconductors including wide bandgap devices. The models are based on process and layout parameters, enabling design optimsation through a direct link between SPICE, physical design, and process technology. The models are used as a key design component during technology development and for the proliferation of new products. In this presentation, the breadth of ON Semiconductor power management semiconductor portfolio will be highlighted. We will discuss the latest product releases, most innovative solutions and most relevant power discrete's, power modules, power management controllers and support circuits. Registered attendees will receive an injection board and lunch as a part of these free events.